This retrospective tasting provided a great opportunity to revisit the first seven releases of Manfred and Elaine Krankl’s Next of Kyn. As compelling as the Krankls’ Sine Qua Non wines are, I have always found Next of Kyn to be just as fascinating, especially in recent years. This vertical only served to reinforce that impression. Manfred and Elaine Krankl are best known for the sumptuous, racy Sine Qua Non Syrahs and Grenaches that have brought them considerable acclaim since their very first release with the 1994 vintage. A succession of brilliant wines allowed the Krankls to increasingly focus on estate vineyards (instead of relying on purchased fruit) and build their own winemaking facility, both of which are the dream of any young producer. 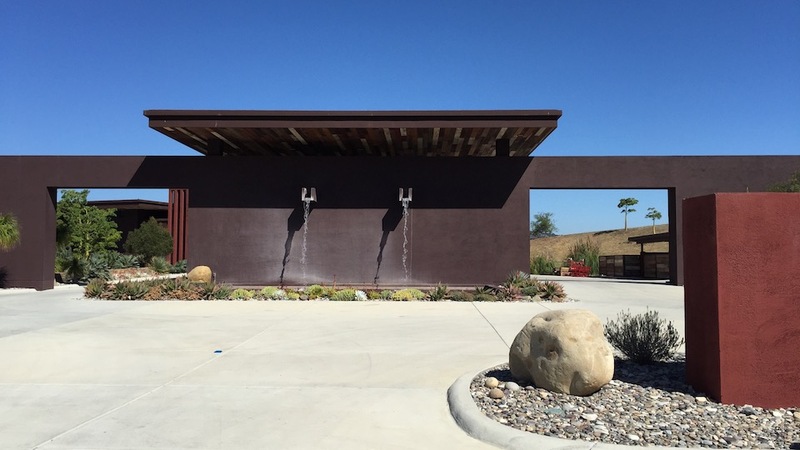 In 2003, the Krankls purchased a sprawling ranch in Oak View, just south of Santa Barbara, that is home to a new, modern winery and the family residence. The land is full of snaking contours, hillsides and other sections that are more like elevated plateaus. Readers visiting the region will note the absence of vineyards nearby. 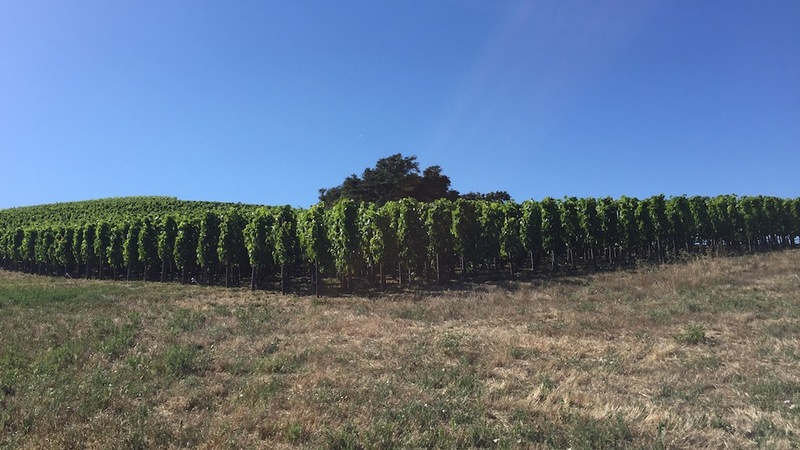 For many years, locals believed vineyards in this area were highly susceptible to Pierce’s Disease, which restricts water flow to plants and can completely wipe out vineyards in a very short time span. The Krankls planted the first blocks of what they call Cumulus Vineyard with Syrah, Grenache and Roussanne in 2004. 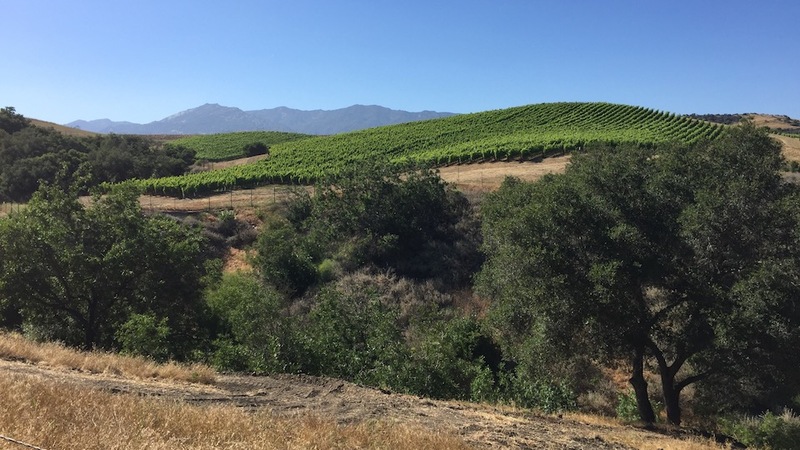 Cumulus is the Krankls’ first true estate vineyard (Eleven Confessions in the Sta. Rita Hills was first leased and only recently acquired outright). Petite Syrah, Mourvèdre, Touriga Nacional, Petit Manseng and a bit more Syrah were added in 2008. One of the most dramatic sections of Cumulus is a high-density block of Syrah planted on own-rooted, head-trained vines. In 2007, the Krankls released their first wine from Cumulus under their Next of Kyn sister label. In keeping with their penchant for creative labels, bottle designs and packaging, Next of Kyn is sold in a large box that contains one magnum and three standard 750-ml bottles. The first three vintages were essentially Syrah-based, with some Grenache and Roussanne. With the 2010, the Syrah/Grenache-dominated blend grew to include Petite Sirah, Mourvèdre and Touriga Nacional as the newer blocks came on line. Another recent development has been an increase of the use in whole clusters, something that is true at Sine Qua Non as well. The first vintages of Next of Kyn were done with fully destemmed fruit. In 2010, Next of Kyn was done with around 24% whole clusters, while the 2013 was fermented with nearly 60% stems, although the stem component is not especially apparent in the wines. Next of Kyn spends around 30 months in French oak, with around 50% new oak for the most recent releases. But wine is never about numbers. Above all else, in this tasting I was impressed with the differences between the vintages, and more importantly, the way Next of Kyn ages. Even the first editions – which are not representative of today’s wines because the blends are different and the vines were very young at the time – have aged beautifully. Some of the more recent releases, including the 2012, 2013 and 2014 (which is reviewed in my upcoming article on new releases from Santa Barbara) are stunning wines. The 2007 Next of Kyn - No. 1 is just beginning to show the first signs of aromatic nuance and complexity. Sweet red cherry, plum, rose petal, coffee, tobacco and earthy notes give the wine its distinctive aromatic signatures. At nearly ten years of age, the 2007 remains vibrant and full of life. Some of the baby fat has melted away, but there is enough depth and vibrancy to support at least another decade of exceptional drinking. Silky, creamy tannins add to the wine’s sheer appeal. This is a fabulous debut for Manfred and Elaine Krankl’s Next of Kyn project. In a word: sublime. A dark, brooding wine, the 2008 Next of Kyn - No. 2 packs a serious punch. Black cherry, gravel, graphite, smoke, licorice and dark spice convey an impression of gravitas that is reinforced by the wine’s deep, vertical structure. Although the 2008 can be enjoyed now with air, it needs at least another few years in bottle to fully unwind. The 2009 Next of Kyn - No. 3 comes across as a mix of the 2007 and 2008, with the sensual richness of the former and the darker profile of the latter. Because of its impeccable balance, the 2009 is hugely rewarding today. Succulent dark cherry, cloves, menthol and licorice add nuance throughout, but above all else, the 2009 is a wine that can be enjoyed with minimum fuss over the next decade or so. With the 2010 Next of Kyn - No. 4 we shift into more recent vintages, none of which is truly ready to drink. Powerful, tightly wound and unyielding, the 2010 needs at least a few years in bottle before it is ready to show even the faintest glimpse of its true potential. Tasted on the second and third days after opening, the 2010 gradually started to show some of its true character, but readers should not plan on opening a bottle anytime soon. The 2011 Next of Kyn - No. 5, from one of the most maligned California vintages in recent memory, is quite attractive, if a bit compact. Although very much light to medium in body next to the other wines in this tasting, the 2011 is full of perfume, freshness and bright fruit. If anything, the 2011 still needs time to develop the full breadth of its aromatic complexity. In this tasting, the 2011 is more reticent than it has been in the past. One of the highlights in this tasting, the 2012 Next of Kyn - No. 6 belongs to a group of vintages including 2007 and 2009 that are all about suppleness and raciness. Bright, perfumed and nicely lifted, the 2012 is also quite delicate. Grenache plays an important role in the blend, and that comes through in the wine’s silky, punchy fruit. Further time in bottle will allow the aromatics to develop more fully, but the 2012 is absolutely delicious today. Moreover, its sense of poise is truly exceptional. Here in its seventh edition, the 2013 Next of Kyn - No. 7 is utterly profound. It is also my favorite wine in this vertical. Powerful, dark and structured, with tremendous energy, the 2013 will leave readers weak at the knees because of its magnificent purity. Readers will have to give the 2013 at least a few years in bottle to unwind and develop the full range of its aromatics. Its greatness, though, has been evident since the very beginning. This is another superb showing from the 2013.